Last Day! Wantable Black Friday Deal – 50% Off Styling Fee! Extended! Le Tote Cyber Week Coupon – 40% Off Your First Month! Last Day! CAUSEBOX Cyber Week Deal – $15 Off the Winter Box! BarkBox Cyber Week Deal – Free Bonus Toy Every Month! Extended! Fabletics Cyber Monday Deal – 60% Off Sitewide! Today Only! Ellie Coupon – 40% Off Your First Box! BarkBox Giving Tuesday Deal – Free Bonus Toy Every Month + Donation! GlobeIn Giving Tuesday Coupon – 40% Off Your First Box! CAUSEBOX Cyber Week Deal – $15 Off the Winter Box! BarkBox Super Chewer Cyber Monday Coupon – First Box for $9! 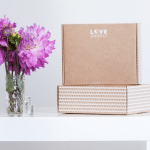 POPSUGAR Cyber Monday Deal – Get The Fall Box For $25 With Subscription! Vegan Cuts Cyber Monday Deals – 30% Off Subscriptions + Bonus Items! Bespoke Post Cyber Monday Deal – 40% Off Of Your First Box! 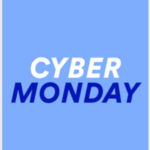 Birchbox Cyber Monday Deal – Up To 45% Off Sale Items! Fabletics Cyber Monday Deal – 60% Off Sitewide! NatureBox Cyber Monday Coupon – 50% Off Your First Order! EBY Cyber Monday Deal – 40% Off Your First Box! Julep Cyber Monday Sale – 50% Off Sitewide! Le Tote Cyber Monday Coupon – $20 Off Your First Month! Boxycharm Cyber Monday Sale – Save $5 Off Limited Edition Boxes! Today Only! 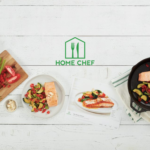 Ellie Cyber Monday Coupon – 40% Off Your First Box! Box Of Style Cyber Monday Sale – Save $40 Off the Winter Box! Look Fantastic Cyber Monday Deal – First Box for $1.17! SinglesSwag Cyber Monday Deal – 40% Off Any Length Subscription! Fabletics Black Friday Sitewide Sale – Buy One, Get One FREE! BarkBox Cyber Monday Coupon – Free Bonus Toy Every Month with 3-Month Subscription! Frank and Oak Cyber Monday Sale – 30% Off Sitewide! Too Faced 2018 Cyber Monday Mystery Bag Available Now! UPDATE – Sale Section Stacks with Birchbox Black Friday Deal! CAUSEBOX Cyber Monday Deal is Available Now! Le Tote Cyber Week Coupon – 40% Off Your First Month! Extended! Bespoke Post Black Friday Black Box Deal! FabFitFun Black Friday Deal – $20 in Add-On Credit with Annual Upgrade! CAUSEBOX Black Friday Coupon – FREE Mystery Bundle with Subscription! EBY Black Friday Deal – 40% Off Your First Box! Le Tote Black Friday Coupon – $15 Off Your First Two Months! Today Only! Fabletics Black Friday Deal – 50% Off Sitewide! NatureBox Black Friday Coupon – 50% Off Your First Order! The Clean Beauty Box by Art of Organics Black Friday Coupon – 15% Off Your First Box! Bespoke Post Black Friday Black Box Deal Is Live! Game of Thrones Box Black Friday Deal – 25% Off Your First Box! FabFitFun Black Friday 2018 – $10 Coupon + Free ExfoliKate! How to Hack the Birchbox Black Friday Deal! Ulta Black Friday Deals + Coupon + Free 9-Piece Gift! 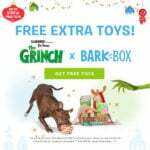 BarkBox Black Friday Coupon – Free Bonus Toy Every Month with Longer Subscription! Ipsy Shopper Black Friday Deals Available Now! Emma & Chloe Exclusive Black Friday Sale – 50% Off Subscriptions + 30% Off Shop Purchases! Wantable Black Friday Deal – 50% Off Styling Fee! Julep Black Friday 2018 Deals – Early Access Starts Now! Ellie Black Friday Coupon – 30% Off Your First Box! Frank and Oak Black Friday Sale – 30% Off Sitewide! Postmark’d Black Friday Sale – 30% Off Subscriptions! SinglesSwag Black Friday Coupon – 40% Off Any Length Subscription! 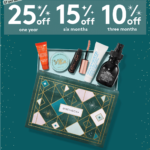 Birchbox Black Friday Deal – Up To 25% Off Subscriptions! Vegan Cuts Holiday Sale – Rejuvenate Beauty Haul Box Available Now! Birchbox Black Friday Deal – 25% Off Everything for Aces! Loot Crate Black Friday Early Access – 50% Off Subscriptions! Allure Beauty Box Black Friday Deal – Exclusive Early Access! Boxycharm Black Friday / Cyber Monday 2018 Boxes – Available Now! Book of the Month – Better Than Black Friday 2018 Deal! Happy Rebel Box – Better Than Black Friday 2018 Deal! CAUSEBOX – Better Than Black Friday 2018 Deal! 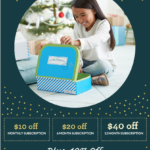 Little Passports Coupon Black Friday Deal – Save Up to $40 Off Subscriptions! FabKids Black Friday Deals + Coupon! RawSpiceBar Black Friday Coupon – 50% Off Your First Box! EarFleek Exclusive Black Friday Coupon – 50% Off Your First Box! SkinStore 2018 Advent Calendar Sale – 30% Off! Bonjour Jolie Cyber Monday Deal – 40% Pre-Paid Subscriptions! Today Only! Birchbox Coupon – Free BADgal BANG! Volumizing Mascara with Subscription + 25% Off Pre-Paid Subscriptions! Bespoke Post Cyber Monday Deal for Current Subscribers – Up To 60% Off! Lunarly Cyber Monday Coupon – 25% Off Your First Box! MINTD Cyber Monday Sale – Up To Off £30 Subscriptions! The Bouqs Cyber Monday Coupon – 25% Off Sitewide! GoodBeing Cyber Monday Coupon – 30% Off Gift Subscriptions! Adults & Crafts Coupon – Save 15% Off Subscriptions! The Music Box Black Friday Deal – 25% Off Any Subscription! SlutBox by Amber Rose Cyber Monday Coupon – Up To 30% Off Subscriptions! Bless Box Cyber Monday Coupon – Up To 40% Off Subscriptions! Japan Candy Box Cyber Monday Coupon – $5 Off Longer Length Subscription + Gift Card! Charlotte Tilbury Magic Mystery Boxes – Available Now! Rent the Runway Cyber Monday Deal – 50% Off Unlimited! Your Bijoux Box Cyber Monday Mystery Box – Available Now! Facetory Cyber Monday Sale – Free Masks with Subscription! 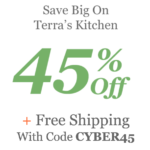 Terra’s Kitchen Black Friday Coupon – 45% Off Your First Box! Faithbox Cyber Monday Coupon – 50% Off Your First Box! FabKids Cyber Monday Deals + Coupon! Dia & Co Black Friday Coupon – $20 Styling Fee Waived! Vegan Cuts Holiday Sale – $25 Makeup Boxes! Vegan Cuts Holiday Sale – Adorn Beauty Haul Box Available Now! Burt’s Bees Black Friday Sale – $10 Off Holiday 2018 Box! Charlotte Tilbury 2018 Advent Calendar – 50% Off! Papirmass Black Friday Deal – 25% Off Annual Subscription! Kloverbox Black Friday Deal – FREE Box With Pre-Paid Subscription! Field to Cup Black Friday Sale – Up To 25% Off Subscriptions! Threadlab Black Friday Coupon – 40% Off Your Order! Luxor Box Black Friday Sale – 10% Off Subscriptions! The Bookish Box Black Friday Deal – FREE Month With Longer Subscription Or $5 Off First Box! My Texas Market Black Friday Coupon – 20% Off Subscriptions! Goddess Provisions Black Friday Sale – Bonus Gifts With Subscription! Golden Tote Black Friday Sale – On Now! RescueBox Black Friday Sale – Up To $35 Off Subscriptions! The Bouqs Black Friday Coupon – 20% Off Sitewide! JoahBox Black Friday Coupon – 15% Off Subscriptions! OwlCrate Black Friday Deals – Save Up to $27 Off Subscriptions! Today Only! Martha & Marley Spoon Box Black Friday Deal – $60 Off First Four Boxes! Sock Fancy Black Friday Deal – 20% Off Subscriptions! Pampered Teacher Black Friday Coupon – 20% Off Your First Box! Feeling Fab Exclusive Black Friday Coupon – 30% Off Your First Month! Sock Panda Black Friday Deal – Save 10% Off Subscriptions! Degustabox Black Friday Deal – 35% Off + 2 Free Bonus Items! Today Only! Cratejoy Black Friday Sale! SkinStore 2018 Advent Calendar Black Friday Sale – 25% Off! Black Friday Sugarbash Mystery Box – Available Now! STRONG self(ie) Exclusive Black Friday Deal – 25% Off Your First Box Or Free Gift With Subscription! SoBakeable Exclusive Black Friday Deal – Free Sprinkles + 15% Off Your First Month! VetPetBox Black Friday Deal – 50% Off Your First Box! 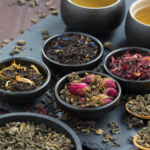 Tea Box Express Exclusive Black Friday Coupon – 35% Off Your First Box! The Ms. Collection Exclusive Black Friday Deal – 50% Off Your First Month! Adore Me Black Friday Deal – Get Your First Set for $19.95! Bolzano Purse and Accessories Club Exclusive Black Friday Coupon – 15% Off Your First Box! Uppercase Box Black Friday Deal – 25% Off + Free Bonus Items! POPSUGAR Must Have Boutique Launches 11/24 at 10 AM ET! Tasu Box Black Friday Coupon – First Box for $19.99! Yogi Surprise Black Friday Deal – FREE Bonus Box With Subscription! La La Life Black Friday Sale – 30% Off Subscription & Holiday Gift Box! Home Made Luxe Black Friday Coupon – First Box for $19.99! LiveGlam KissMe Black Friday Deal – 30% Off Your First Box! LiveGlam MorpheMe Black Friday Deal – 30% Off Your First Box! Sock Fancy Early Black Friday Deal – 20% Off Subscriptions! The Body Shop Black Friday Tote – Available Now + Full Spoilers! KiwiCo Black Friday Deal – 60% Off Your First Box! Le Tote Black Friday Sale – Up To 70% Off! Home Made Luxe Black Friday Sale – First Month Free with Annual Subscription! 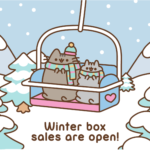 KitNipBox Black Friday Sale – 25% Off Your First Box! Barbella Box Exclusive Black Friday Coupon – 15% Off Your First Box + Shop Purchase! 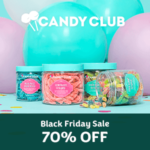 Dollar Tea Club Exclusive Black Friday Coupon – First Box Free – Just Pay Shipping!